This past weekend has been so powerful from our Sunset Healing Service to Super Sunday it really has been amazing! For those who were able to join with me at TKC London Live or even if you were able to participate and watch online, I hope you have found our services a blessing. We had so many testimonies that uplifted each and every one of our hearts. We also had a time of prophecy and revelation as this powerful anointing was so strong. On Sunday I shared a prophetic word that God gave to me to share with you all. Today I just want to echo this message again for you as you continue on this week. May this message inspire you, comfort you and make you rise up in faith. Sunday I was sharing in 2 Kings there were a couple of kings who are lost they have been going in circles for a couple of days and as they were lost thy needed a direction. They were going around and around for days. Food was rationed and they didn’t know what to do. Child of God I just want to encourage you today that once you try everything and it’s not working you need a spiritual solution. You must know where the centre of power is so that you can access and find your miracle. You see when Moses was in power you heard little about Joshua. When Elijah was alive we never heard about Elisha, as he was only known to pour water on the hands of Elijah. You see there is an anointing that comes not by contact but by a journey. There is somebody reading this today and something about you is going to change. You see people were discouraging Elisha away from Elijah as they were telling him your Master is going to be taken away what are you going to be? All these years you have been following Elijah what is going to become of you? But he was not interested in their answers as he was committed to serving Elijah all throughout the end. DO YOU HAVE ANY ENEMIES..? 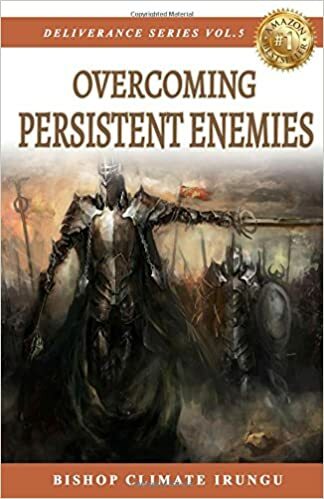 DESTROY AND OVERCOME EVERY PERSISTENT ENEMY CLICK HERE! Monday 23rd April join us for Kingdom Men and Kingdom Women at 6:30PM! Come for a session of advice, tips and more meeting with Kingdom Men group and The Kingdom Women! Join us for our Monday Deliverance Session starting at 7PM! Tuesday 24th April join us at 7PM TKC Seniors (60+) Come and hear fresh insight of biblical study, wisdom and fellowship! Wednesday 25th April Join Us in our Corporate Fast 5AM – 5PM and Join us at For our Midweek Boost Deliverance Service With Co-Pastor Lungi Moyo! Mid-Week Edition! “She Gained Automatic Salary Increase…” Click To Discover How and More!